With an endless list of things to see, to do, and to experience, we are welcoming you to Greater Manchester's unique waterfront destination. Enjoy world-class entertainment, stunning landmarks, cutting-edge cultural facilities, modern restaurants and plenty more reasons to discover why The Quays is the perfect choice for a day out during corporate events. The Quays is situated just 15 minutes by tram from Manchester city centre. It is Britain's hottest short-break destination and packs everything you can do in a big city into one spectacular square mile. Shopping, sport, art, drama, history and truly world-class architecture - you name it, and you'll find it at The Quays. So with this week's meeting venues near Salford Quays and first-class experience opportunities the city has to offer, you will have all the ingredients you need to guarantee a smooth and unforgettable event. Within walking distance from Old Trafford and close to MediaCityUK or the Lowry Theatre, the AC Hotel Manchester Salford Quays will welcome your attendees with modern style, a professional Meetings & Events team, and an exceptional location. This modern hotel is only 1.6 miles from the Museum of Science and Industry and 2.3 miles from Manchester Cathedral. The hotel can also be easily reached within a 3-minute walk from Salford Quays Metrolink station. Equipped with the latest technology and natural daylight, you can choose from 7 modern and fully equipped meeting rooms. From board meetings and seminars to dinner galas, a dedicated team will make sure any type of event will be a success. Situated in the heart of the exciting Salford Quays area and with modern connections to road, rail and air transport, Copthorne Hotel Manchester is easily accessible from any part of the town. Another advantage of this hotel is its ideal location: directly opposite of the Exchange Quay Metrolink tram stop. This quayside hotel is located 1,5 km from Old Trafford, including the Manchester United Museum & Tour Centre. The Lowry theatre and galleries is also only 1,5km away from this modern equipped 4-star hotel. The well-equipped and flexible function rooms and suites can host from 10 to 160 people. No matter if you are planning a large social event or an intimate corporate meeting, the hotel has 5 bright, open and elegant spaces to suit your needs. Within just a 7-minute walk from Manchester Central Convention Complex and a 3-minute walk from the Opera House, this boutique hotel occupies a former Victorian schoolhouse that has been transformed into a luxury townhouse hotel. Only a stone's throw away from Manchester's most exclusive shopping areas, restaurants and theatres, this unique hotel welcomes its guests to experience luxury and a grand lifestyle within the hotel. From a boardroom meeting of 8 to an exclusive house party of 300, Great John Street Hotel has 5 flexible event spaces & meeting rooms available for private hire. In need of inspiration? Join the luxurious tea time, where you can truly enjoy some heavenly tasteful snacks, chips or cakes with as much coffee and tea as you need. This contemporary hotel overlooks the North Bay of the Salford Quays and is set in a sophisticated glass-fronted building. IHoliday Inn Manchester is located just within a 5-minute walk from the Harbour City tram stop and 2km from football matches at Old Trafford. The M60 and M62 motorways are a 10-minute drive from the hotel, and Manchester International Airport (BHX) is only 20 minutes away, making it an ideal location for any business meetings. With three modern meeting rooms, with natural light and free Wi-Fi, guests can host meetings for up to 50 delegates at the Holiday Inn Manchester - MediaCItyUK hotel. There's a handy Business Centre and parking next door for a small daily fee. Finally, for the early birds, a complimentary fitness centre will guarantee the perfect balance between your body and mind. If you are visiting Manchester, for leisure purposed or business purpose, and you are looking for an airport hotel, Manchester Airport Marriott Hotel will definitely check all the boxes. Located just off the M56 and 2 miles from Manchester Airport, this high-end 4-star hotel is 5 miles away from Quarry Bank historic mill and only 10 miles from the Lowry art gallery. With a maximum capacity of 160 attendees in the Cheshire Suite, this hotel is capable of hosting any business events, whether you are planning a board meeting or a corporate seminar. There are 12 meeting rooms available in the hotel and can be changed to any suitable layout as per guest’s requirements. 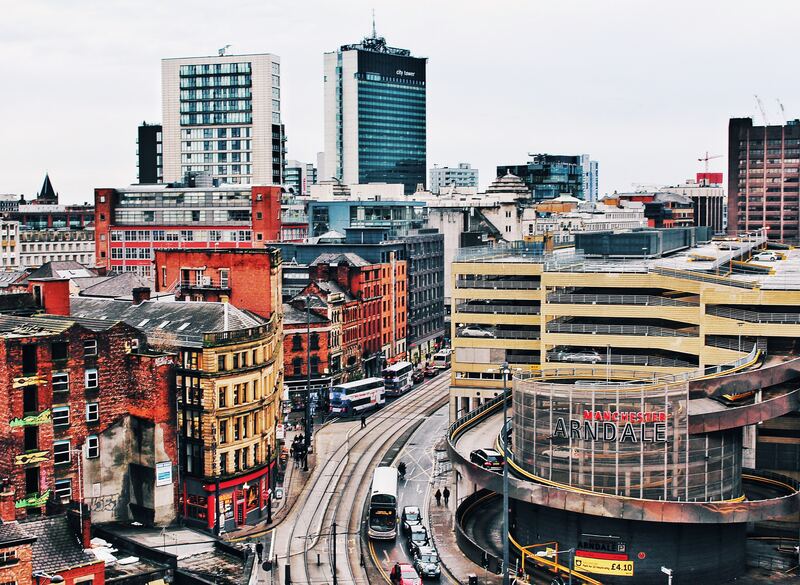 Whatever you want to do - shopping, theatre, nightlife or sporting event, The Best Western Cresta Court Hotel in Manchester is ideally located in one of the most exciting cities in the UK. This contemporary hotel is 8.1 miles from the Imperial War Museum North, and just a 6-minute walk from Altrincham railway station, making it an easily accessible hotel for corporate delegates. Furthermore, the hotel is not far from the business and entertainment hub of MediaCity in Salford Quays. Located close to the city centre, this hotel is the ideal venue for hosting any big and small business events. 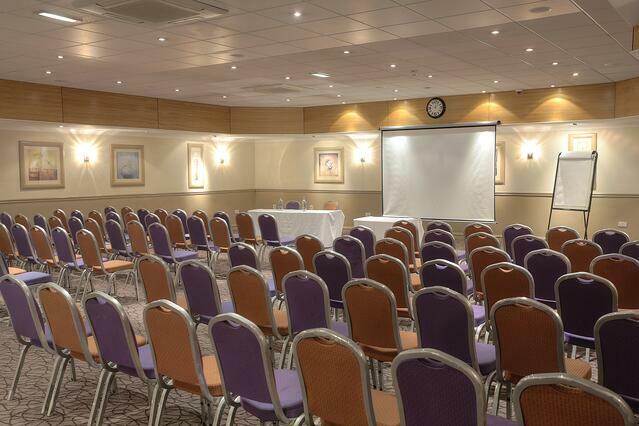 You can choose from 8 unique and highly equipped meeting rooms: the Belgrave Suite is the largest & air-conditioned function room in the hotel, and it can host business events with a maximum capacity of 350 delegates.